Blogging is all about communication — I get that. If you write something and I understand it, that’s communication. At what point should grammar and composition enter in the scale of importance? I’m no English teacher. I went to university to become a teacher and once I finished I realized how much I hated being a teacher. Teaching would be great except there are all those kids! I make my own mistakes and I do regret every silly typo and grammatical error, honestly. I can live with the occasional oops, we all make them. It’s the blogs that make the same silly mistakes over and over again. Makes me want to get the ruler and slap ’em on the fingers. Capitalize the letter I and the letter S in Saturday please. Seriously, people, an apostrophe is all about possession and if those mums and dads don’t own the park, leave the apostrophe off. Then they make you jump through hoops to do it. First you have to join Disqus or some other thing or you have to be logged in to WordPress or Google. If you make me work for it, you’ll have to do without my comment. This is popped up right in the middle of the front page. How do I know if I like you yet and then you make me hunt for the secret x to close the window. I choose to leave. Just ask me nicely to join, don’t scream at me. Maybe we can be friends. I don’t mind if I can read it but if I put it in once and I get it wrong, I’ll try again. If you use one of those super tricky ones, I give up. Nobody’s blog is worth that much of my time. If you use Akismet, do you really get that much spam anyway? After putting a post up saying that nobody ever “pins” your photos or shares them on Facebook or Twitter. It’s because you make it like work. Add the freakin buttons. 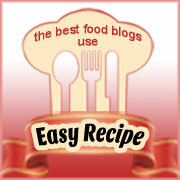 The faster your blog loads, the faster I can read it and the faster I can leave a comment. Check your cache plugins – they’re usually the culprit. No sign up by email. I like your blog but I can’t be bothered with RSS. I check my mail, click to open your blog, read, comment and go away. It works for me and I’m not alone. “Just Another WordPress Site” is never going to make you a cent, folks. It’s on the WordPress settings page under General and it’s a great spot for keywords. I could go on but I know you’re bored. 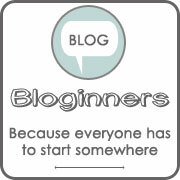 What peeves you about blogs? Have you been reading my mind Maureen? I have to admit, I struggle with typo’s myself. Other pet peeves include: Walls of text without subheadings (I love how you’ve displayed this blog, very easy on the eye); seeing the word ‘uncategorized’ at the bottom (putting a blog in a category makes it easy for the reader to stick on your site for longer); headlines that don’t really mean anything or don’t indicate what’s ‘inside’. I’ll stop there, but I could go on. I think you covered most of mine! I have a friend with a food blog who writes lovely stories ahead of a great recipe. Instead of putting the recipe in the subject line, she uses a clever phrase about the story. Nobody is ever going to google what she did over the weekend. I’d love to tell her but then I wonder, “maybe that’s what she wants,” so I keep my mouth shut. I have to agree with you Maureen on all counts. I admit to being a bit of a stickler for the use of correct English, having been an English teacher. The other things you mentioned are a problem as well. Capital I – It depends where i am typing by blog, If it is word then it will do auto correct, if it is on the iPad then directly on the screen it will auto correct, if using the keypad it doesn’t and i’m sorry i’m just not going to hit the shift key every half a dozen words. Heading: They break the flow of a blog for me so i don’t like using them unless it is absolutely necessary. Discus – I started using this as it was simple and didn’t need signing up for, never had a drama with it, great to use in the back end too. Captcha: annoys me to the point of not commenting. My pet peeve is “Your comment is awaiting moderation” unless you have someone sitting at the computer checking every 30 seconds to approve my comment, which is highly unlikely, get rid of it and approve them all. You can always come back and edit or delete comments if you don’t like them. Hmmm didn’t realise your blog had a “your comment is awaiting moderation” feature on it when i wrote that pet peeve …. and Yep it did frustrate me that i have to wait to see it approved and visible for all to see. Previous post: Avoid Divorce by Doing All the Housework?